Experience alpine variety! Untouched nature and stunning panoramic views. 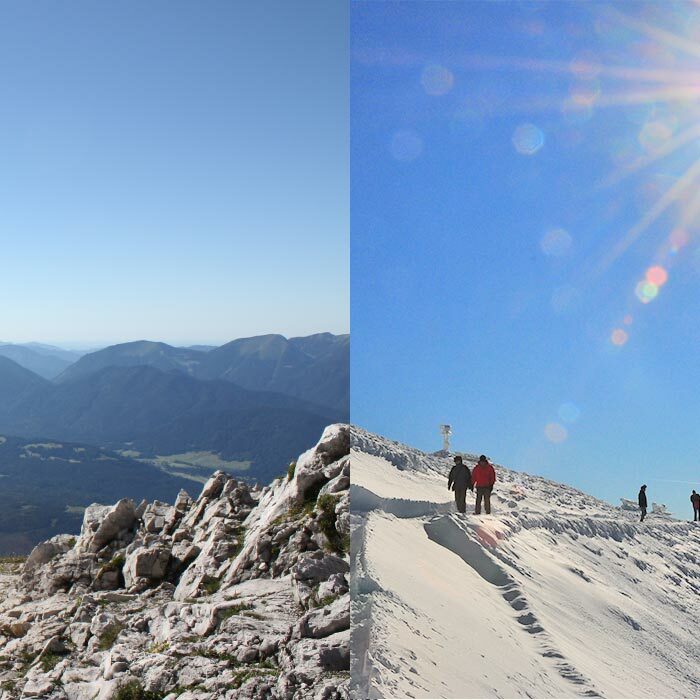 Within only ten minutes we’ll take you up from the market town of Mittenwald to 2244m above sea level. Far below lies the delight of the gentle Isar valley, the foothills of the Wetterstein and sparkling lakes. 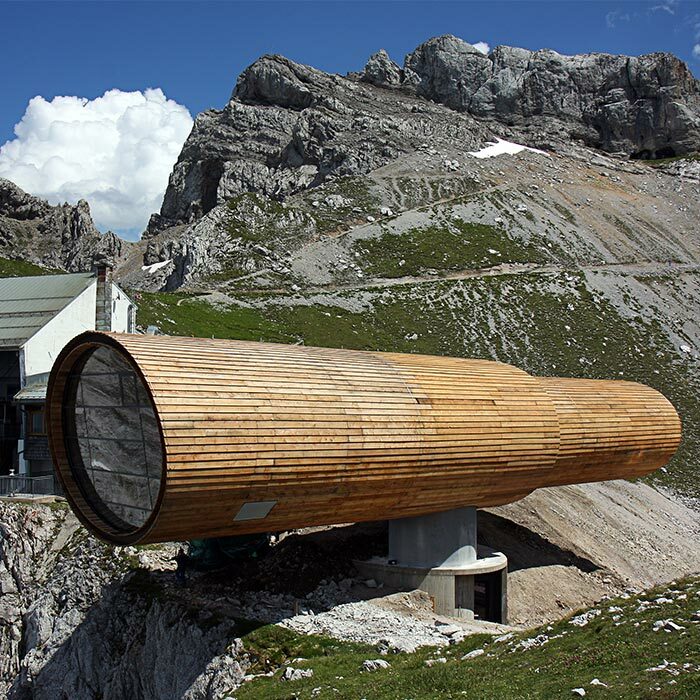 At the top you get to experience alpine nature as the mood takes you: take your pick from a day‘s walking, a climbing adventure or a leisurely panoramic tour, or perhaps a visit to the gigantic telescope and coffee and cake at the top station. You can also have a conference, a meeting, a party or even a wedding up here! 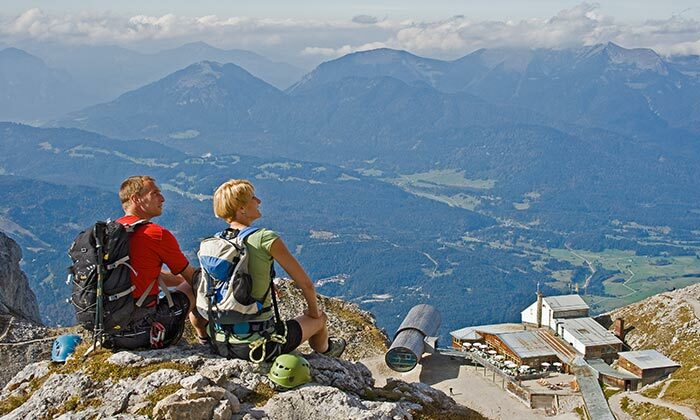 – So come and enjoy the fascinating alpine world or delight your loved ones with a voucher! Get into the winter fun! Experience how the mountains carry away your every day routine! Untouched nature, stunning panoramic views. 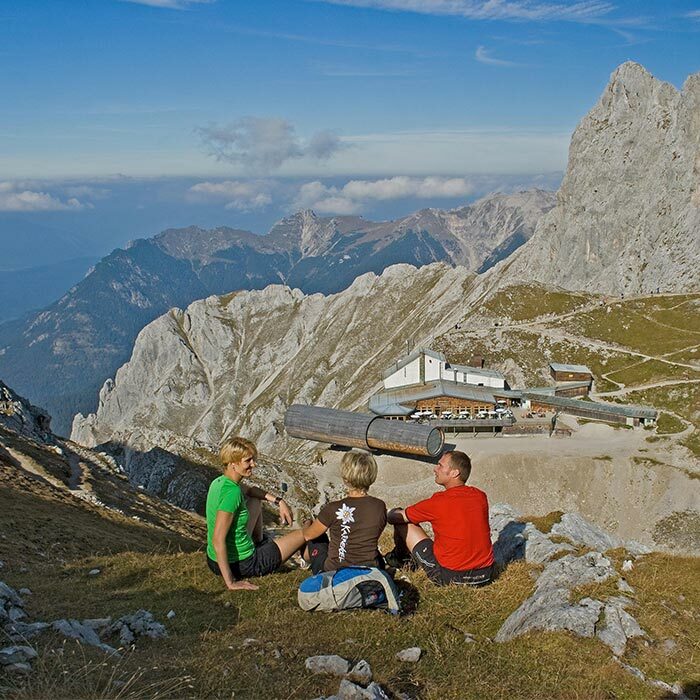 Within only ten minutes we’ll take you up from the market town of Mittenwald to 2244m above sea level. Far below lie the snowy delights of the gentle Isar valley, the foothills of the Wetterstein and sparkling lakes. 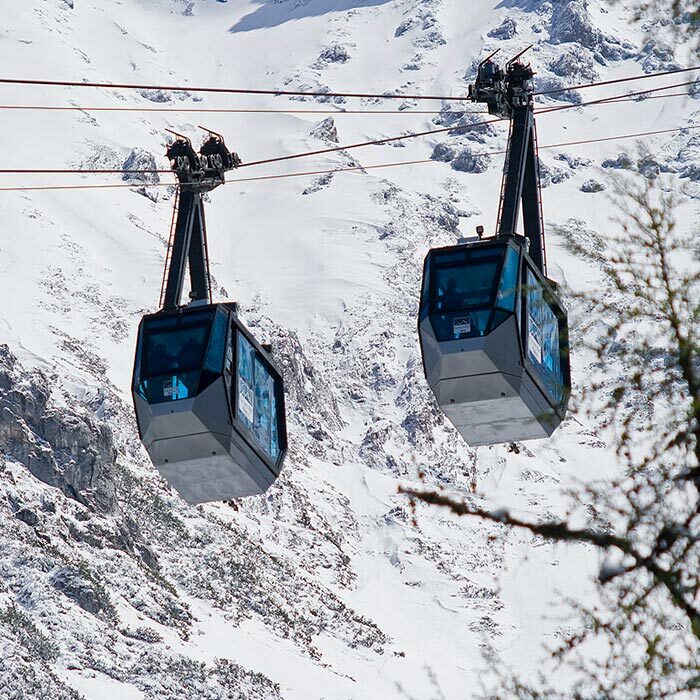 At the top experience alpine nature as the mood takes you: take your pick from a leisurely panoramic tour in a winter wonderland, or perhaps a visit to the gigantic telescope and coffee and cake at the top station. 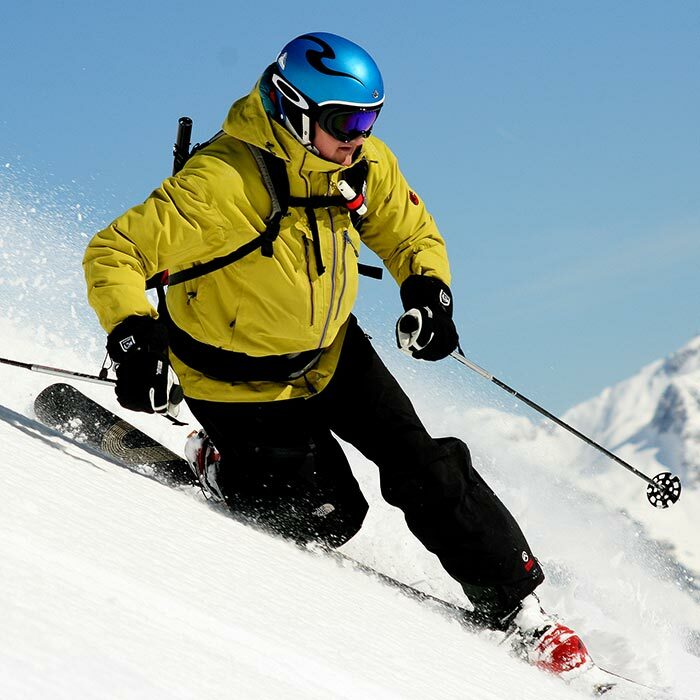 Winter sportsmen enjoy powder snow descents through the legendary Dammkar, Germany’s longest ski route. You can also have a conference, a meeting, a party or even a wedding up here! More information in our winter flyer. Welcome to the fascinating world of the high mountains. 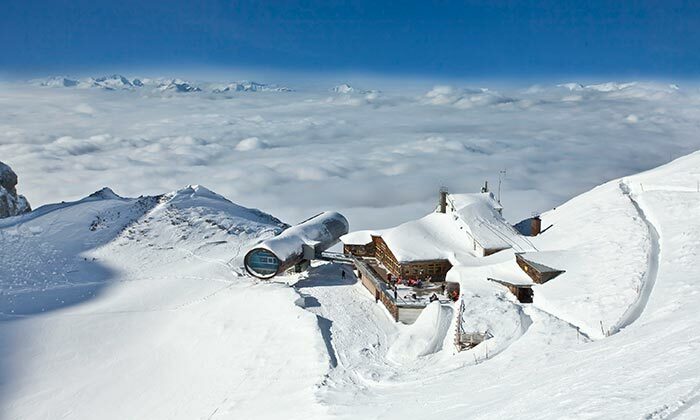 The mountain station Karwendelbahn is a perfect starting point for tours. 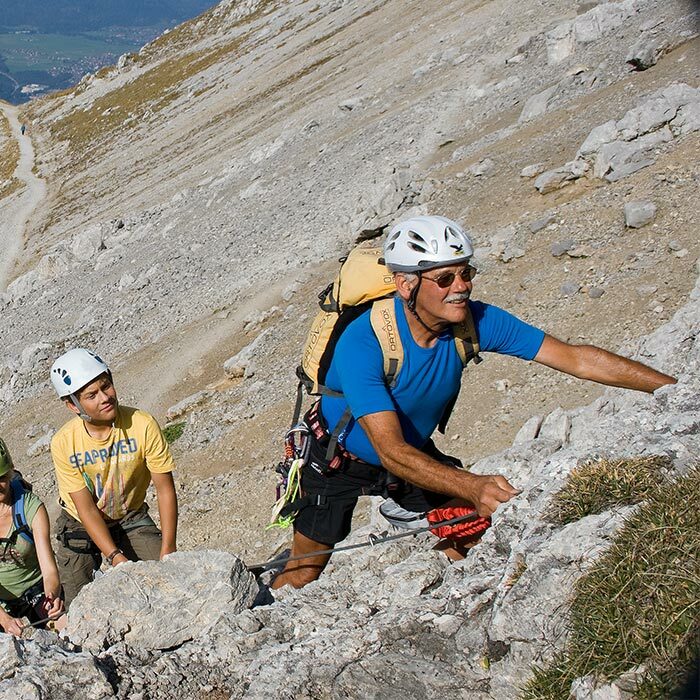 The valley and mountain station are also perfect starting points for climbing tours. 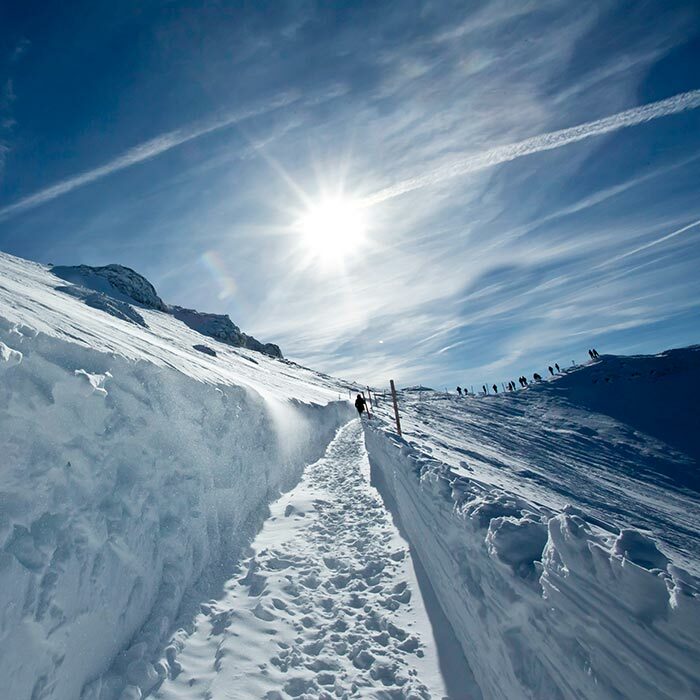 Start your hike from the mountain station through the high mountains. 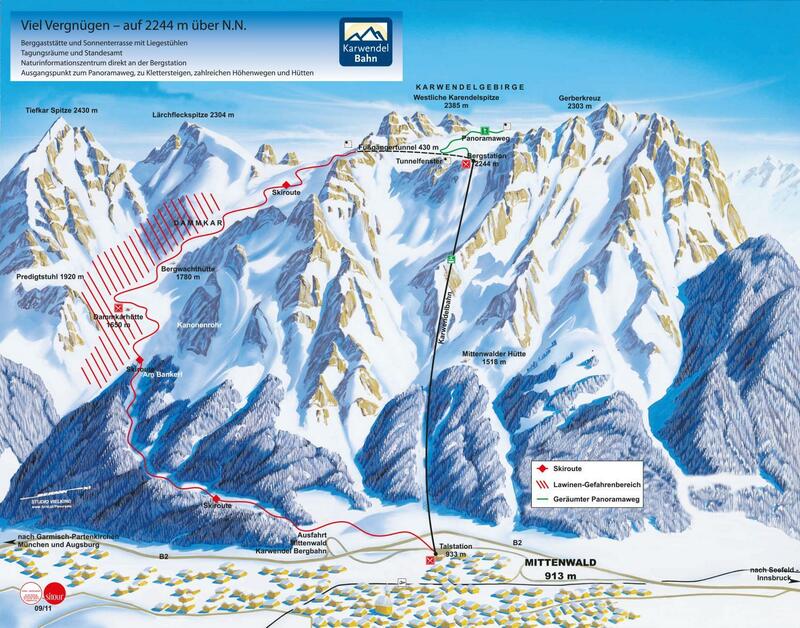 Seven kilometres of skiing delight – Germany’s longest ski route!